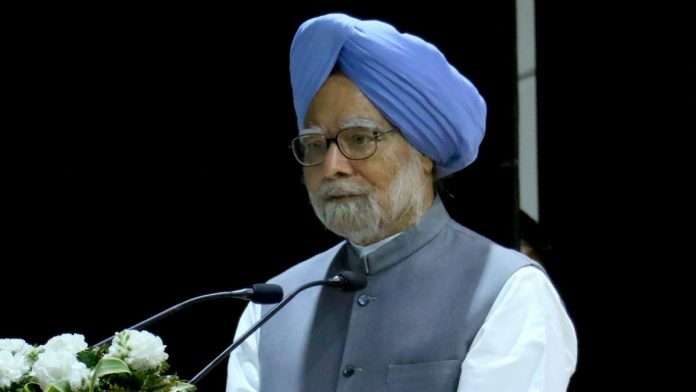 In a statement issued on the second anniversary of demonetisation, former PM Manmohan Singh urged against ‘unorthodox, short-term economic measures’. Today marks the second anniversary of the ill-fated and ill-thought demonetisation exercise that the Narendra Modi government undertook in 2016. The havoc that it unleashed on the Indian economy and society is now evident to everyone. Notebandi impacted every single person, regardless of age, gender, religion, occupation or creed. It is often said that time is a great healer. But unfortunately, in the case of demonetisation, the scars and wounds of demonetisation are only getting more visible with time. Beyond the steep drop in headline GDP growth numbers after demonetisation, the deeper ramifications of notebandi are still unraveling. Small and medium businesses that are the cornerstone of India’s economy are yet to recover from the demonetisation shock. This has had a direct impact on employment as the economy continues to struggle to create enough new jobs for our youth. The financial markets are volatile as the liquidity crisis wrought by demonetisation is taking its eventual toll on infrastructure lenders and non-bank financial services firms. We are yet to understand and experience the full impact of the demonetisation exercise. With a depreciating currency and rising global oil prices, macro-economic headwinds are also starting to blow now. It is, therefore, prudent to not resort to further unorthodox, short-term economic measures that can cause any more uncertainty in the economy and financial markets. I urge the government to restore certainty and visibility in economic policies. Today is a day to remember how economic misadventures can roil the nation for a long time and understand that economic policymaking should be handled with thought and care. Minister on the eve of November 8, 2016 ! authoritarian and totalitarian regime ? Had he during UPA regime under his command not allowed his party and allies to take undue liberties,things to deteriorate and slip out of his control, it would entirely have been a different picture of India nowadays ? economic policies ” but the government is infact blind, deaf and dumb ! It is so because acting on the wise counsel and advice is not this government’s cup of tea ! Recall – the galaxy of economists-Dr.Raghuram Rajan, Dr.Arvind Panagariya ,Mr. Arvind Subramanian who were very keen to shape and offer direction to destiny of India’s economy did not feel at ease with the NaMo regime bidding adieu to their offices ! Mr.Panagariya and Mr. Subramanian did not even deem it proper to complete their terms ! Of late, Mr.Viral Acharya, the Deputy Governor of Reserve Bank of India’s recent discourse too bears testimony to the fact that the present regime is not prone to appreciate prudent opinions so far as speeding up the pace of India’s economy is concerned ! The learned and enlightened Dr. Manmohan Singh must not overlook the broad day light secret of BJP ‘ s power hungry duo of NaMo and Amit Shah’sintentions- their sole and sole aim is to win elections ! Mr.Amit Shah a couple of months back made this intention clear asserting that BJP would rule nation for next fifty years ! But who cares for the economy, Sir? Demonetisation was meant to garner some more votes and bhakts. Both objectives were achieved. From now onwards, until general election dates are announced, we should expect many such foolish measures. The process has started with statues. We can only hope that no misadventures are attempted at the borders!